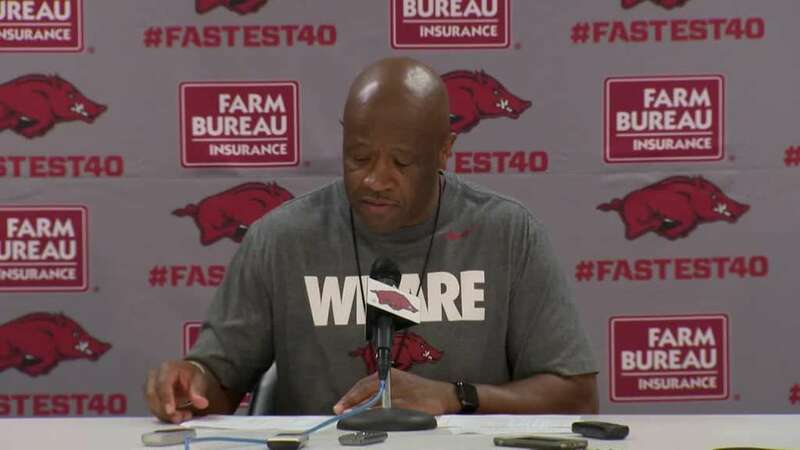 Arkansas head basketball coach Mike Anderson said he is beginning to see his Razorback basketball squad put the defensive concepts he teaches into action both in practice and in games despite the fact that his squad has lost five of their last six games. The Hogs (11-8) halted a four-game losing skid last Wednesday with a home victory over Missouri, 72-60, but No. 13 Texas Tech (14-4) fended off the upset-minded Razorbacks, 67-64, last Saturday in Lubbock, Texas. It was another frustrating loss where the Razorbacks failed to execute in a late-game situation. The Hogs didn’t even manage to get a shot off to attempt to tie the game or cut the lead to one. Granted Texas Tech is statistically one of the best defensive teams in the nation, but with 20 seconds on the clock and a timeout used to instruct his Hogs, Anderson’s squad failed to even get up a desperation heave. The Hogs have a playmaker in Daniel Gafford, but teams have frustrated the Hogs in trying to get him the ball like in the waning seconds of the Texas Tech game, and it seems like the physical nature in which teams guard him is already taking a toll on his stamina. Gafford is known for his ability to run the floor, but when is the last time he’s thrilled us with a windmill dunk like he did last season? He’s getting slams on the half court, but where are the transition slams of last year? Gafford had his man pinned, and yet the pass not only didn’t come on time but it also didn’t come at all. This season has been maddening to Hog fans, and it has to be just as even more so to Anderson has he sees his team’s chance at postseason play dwindling game by game. It would take a hardwood miracle for the Razorbacks to earn a berth in the NCAA Tournament, and no matter how close most of Arkansas’ losses have been, the Hogs will have to have at least a winning record to merit an invitation to the NIT. The factoid about Anderson being one of four active NCAA head coaches to have never had a losing season is in serious jeopardy. And, yet, Anderson said Monday he is more encouraged by his squad’s defensive play in the last two games than he has been in a long while. The Razorbacks held Missouri to just one point in the final three minutes of last Wednesday’s game, and they held Texas Tech to no field goals in the final seven minutes of Saturday’s loss. It’s hard to deny that as being progress. “Guys starting to get it,” Anderson said Monday. “We’re connecting. Guys are talking on defense. It’s coming together. At times it seems the Razorbacks are also learning the broad strokes of his basketball philosophy as well as those nuances. While the Razorbacks had a chance late in the game to change their fortunes, Anderson said the game didn’t boil down to that one possession. The Hogs made 18 of 26 free throws, which isn’t terrible, but Razorbacks missed a number of front-end, one-and-one opportunities that would have given them bonus shots. It might seem ironic that Anderson is now lamenting the Razorbacks’ free-throw shooting since it has been one of the fans’ concerns since the opening game. But, Anderson is consistent in his stance that free-throw shooting is personal and that the player himself has to have enough pride to improve that skill. So where does that leave the Razorbacks going into tonight’s 6 p.m. home contest with Georgia that will be televised by ESPNU? 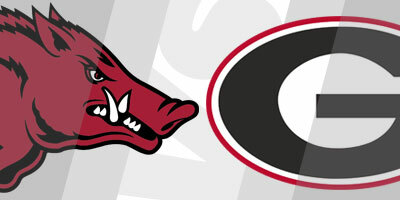 It is a must-win game for the Hogs to keep whatever slim hope there is of a postseason bid alive. It won’t be easy. Tom Crean’s Bulldogs (10-9, 1-5) are big, athletic and improving. Crean’s squads enjoy playing a up-tempo style. His Bulldogs won’t be scared of running with the Razorbacks. From that standpoint, the game ought to be an interesting contest.